This website is a tribute to a late 19th-early 20th century great Lebanese painter. It is also a tribute to his fellows in the “Marine School” also called “Beirut School”, who were the founders of what later became known as the “Arabic Artistic Renaissance” similar to the “Arabic Cultural Renaissance”. This school of painting has been the dominant influence on Lebanese painting for almost half a century and left an indelible mark on this art. Ibrahim Serbai was born in 1865 to a well-off Sunnite family of Ain-el Mraisseh, a seaside quarter of Ras Beirut in the Lebanese capital. He did his studies in various colleges of Beirut and upon graduation, took up lessons in drawing and painting at the “Ottoman Sultanate School” in Bachoura, one of Beirut quarter. He got married at some stage of his life, but as no descendant was ever recorded, we assume that the marriage has remained childless. Little else is known about his private life. Though his great nephew, Mr. Amine Areissi, later shed a light on a trip Ibrahim Serbai had made to the USA in order to improve his technique and deepen his knowledge in painting. THE EARLY LEBANESE PAINTING SCHOOLS. Serbai was one of the pioneers of the “Marine School” for painting, also called by some “School of Beirut” even “Sunni School of Beirut” . A host of other painters, all coming from bourgeois Sunni families, natives of Beirut, had their names linked with this School during the second half of the 19th century. Next to Ibrahim Serbai, we can list Ali Jammal, Hassan Tannir, Dimashkieh and Toufik Tarek (1875-1940) and others. Even Salah Lababidi (1898-1985) and Mustafa Farroukh (1901-1957) were later considered as “echoes” associated with the school. Some art historians go as far as to include Habib Srour (1863-1938) in the same list, arguing that, Srour applied the same precision to his paintings and portraits and also taughting painting in the “Ottoman Sultanate School” in Bachoura – Beirut. (Please refer to the synoptic table under “Marine School” page in the site). Although the first paintings by beiruti sunni individuals go back to the early 19th century with the topography cadets of the Ottoman army, the actual emergence of the “Marine School” didn’t occur before the 2nd half of the same century. It remained, though, a major influence on the Lebanese national painting movement until the great upheavals, worldwide war 14-18, that affected the word of painting in Europe. The coming of “Impressionnist School” revolutionized the concepts of space, composition and colors radiance. The works of the “Marine School” painters are dissimilar to those religious paintings that started in Mount-Lebanon monasteries towards late 17th century with Boutros Koberssi (1664-1744), Youhanna Armani, Ibrahim Kerbaje and other monks. They are also different from those of “Dlebta School” also for religious drawings, such Moussa Dib (1730-1823) and his nephew Kenaan Dib (1801-1882)in the 18-19 centuries. They also vary from the “Products of Rome Academic Institutions” of late 19th-early 20th centuries (terminology used by Dr. Maha Sultan), with Daoud Corm (1852-1930), Habib Srour(1863-1938), Philippe Mourani (1875-1970), Youssef Howayek (1883-1963) and many other illustrious artists.They all painted Jesus Christ, the Virgin Mary, a number of saints and clergymen and some murals of selected cathedrals and monastery. They also had a go at paintings landscapes, still life and even nudes. In order to make a living, and with the exeption of the monks, the majority of those pioneers, including those of the “Marine School”, did not abstain from doing portraits for wealthy Lebanese, Turks, Syrians, Egyptians and from other nationalities.They were paid minimum 10 golden Osmally pounds (At present, around 2000 USD) for each ordinary portrait. Many painters never put their signatures to these portraits for fear of being branded as mercantile artists. The painters of “Marine School” followed in their works Turkish traditions, inheritors of Persian-ottoman art of miniatures. They were, also, heavily influenced by the orientalists and the European landscaper travellers (mainly coming from England, France and Italy) be they established residents or occasional dwellers in the Orient. The final influence, albeit to a lesser degree, came from the European Renaissance Masters. The Muslims painters, unable to draw islamic religious figures (forbidden by their religion), applied their talent, instead, by turning towards landscapes, especially the maritime ones, which have always fascinated them, and still life painting. They cheekily bypassed the islamic ban over sketching the living, by doing portraits of the ordinary people, as opposed to religious ones. Serbaï, during his pilgrimage to Mecca, painted the holy city itself and an oasis in the arabian desert. The fate of these two paintings is still unknown to these days, alas together with many others of this artist. According to Mr. Areissi, these paintings were destroyed by accidental bombing during the last Lebanese civil war. The great nephew of the artist maintained that they were of a very high quality. No one really knows how many Serbaï landscapes and portraits have survived the vagaries of time or how many are still hanging on the walls of Lebanese homes. THE PICTORIAL COMPOSITION OF THE “MARINE SCHOOL”. Contrary to the other painters and painting schools which was massively archived and documented to the finest detail, the “Marine School” is scarcely documented and its painters barely kept records of their work, as was discovered by Mr. Michel Fani while writing his book “Dictionnaire de la Peinture Libanaise”. The artists of the “Marine School”, some of whom were serving officers, were not frankly prolific painters. Each had a few paintings to his name, and of those, few withstood the vagaries of time, as they crackled and got damaged under the dual fatal effect of humidity and high temperature prevailing in Beirut climate. One should also notice that these painters were not really experts in preserving their work and that they lacked the basic techniques to do so. One would suspect these painters were oblivious to the real value of their work, and would regret that very little number of paintings have known a restauration job and/or were properly preserved. But all those painters, in general, have demonstrated a distinctive ability at illustrating figurative paintings that strike the observer as pleasant, serene, enchanting, but also frightfully meticulous. The elaborate neatness of their pictures remind of the military plans or photos, and the minding of every detail takes it nearer to a photo than a painting. Incidentally, the then burgeoning rivalry between the art of painting and that of photography couldn’t be better reflected than in the paintings depicting boats immobilized over the sea waves. The temperance of these Officers-painters even extended to the use of colours, no vivid or loud colours are to be found here, but rather real ones drawn or collected from the landscape, the stone, the sea, the sky, the fruits or the model at hand. The colors and chiaroscuro bestowed upon the paintings their charm, refinement, harmony, taste and ultimately their oriental elegance. IBRAHIM SERBAÏ AND OTHER HISTORICAL PAINTERS. There was a number of painters from the “Marine School” who were socially and/or politically involved in the issues that were the period’s concern. Emulating the famous French painter Louis David (with his “Le sacre de Napoléon Bonaparte”, “L’assassinat de Marat” Etc. ), they tried to immortalize historical moments or events by drawing them on the canvas. Ibrahim Serbaï, for instance, was interested in the German Kaiser Wilhelm II visit to Lebanon in the wake of the first restauration of Baalback’s Temples. Circa 1895 (1312 AH calendar,and entitled “Balbek” as noted on the canvas by Serbaï himself), he did a large oil painting (150×90 cm) representing the temples surrounded by the battlements built by the Arabs in 636 AD and other significant features. He then did another oil paintings (around 135×70 cm) in 1898 entitled “The Reception of Wilhelm II in the Port of Beirut” featuring all the pomp of the event. The Emperor Wilhelm, dazzled and overwhelmed by the Baalback vestiges, had then sent an archaeological expedition with the mission to clear the sand, rubble and extricate the ruins. The funny side of the story was that although the painting had been entitled the “RECEPTION of the Emperor in the Port of Beirut”, it was actually drawn at his DEPARTURE from the same place. He had, in fact, arrived by land on Nov. 10th, 1898 after his pilgrimage and his inauguration of the protestant Church “St. Sauveur” in Jerusalem. He then visited Damascus, Zahle by train and Baalback on horse, where he unveiled the commemorative plaque offered by his friend and ally the Ottoman Sultan Abdul Hamid II. The two monarchs had met during the Kaiser’s 3 weeks visit to Istanbul, prior to his pilgrimage to Jerusalem. In 1918, General Allenby, after defeating and driving out the Turks from the region, took the marble plaque off and tried to wipe away the names and titles of the German Kaiser and his wife. But in 1970, it was restored and put back in its original place where it can still be admired. When he later came to Beirut, the Kaiser resided in the “Grand hotel d’Orient” (renamed hotel Bassoul in 1920) in Ras-Beirut. He made a tour of the city and finally embarked from the Port of Beirut heading towards Pula in Istria on board of his royal yacht “SMY Hohenzollern II”, escorted by a flotilla of smaller ships as depicted by Serbai in his “The Reception of Willhelm II in the Port of Beirut”. Another painter from the same “Marine School” who had recorded on a canvass a historical event was Dimashkieh. The great artist Mostafa Farroukh, and in his same famous conference at the “Cénacle Libanais” in 1947 tells how Dimashkieh had painted, in 1893 “The Sinking of the Victoria”, the English battleship that ran aground off Tripoli’s coast, and whose wreckage was recently found. The sunken ship was, apparently, a real heaven for scuba divers. The ship was rightly described as the “Mount Everest of Wrecks” for the way she sunk 145m vertically to the seabed with its propellers only 77m deep (newspaper L’Orient-LeJour of 10/12/2009). Alas, this unique work of Dimashkieh remains missing. Salim Haddad, another artist from the “Marine School”, and who was a Christian Orthodox, went to Egypt and made many portraits for the rich and famous of the period, political figures as well as artistic and literary ones. We can quote, among many others, Ibrahim Pacha Najib (political figure), the brothers Bechara and Salim Takla (founders of the famous Egyptian newspaper “Al-Ahram”), Yaacoub Sarrouf (writer) etc. 1- The first impressive painting (oil 150x90cm), representing Baalbeck painted in 1895 or 1896, is currently owned by a private collector. 2- Four other paintings, around 135 x 70 cm, illustrate “The Reception of Wilhelm II at the Port of Beirut.” Serbaï painted four copies of this fascinating work with a few minor differences in design and dimensions. However we could only trace the location of three versions: two belong to private collectors and. the third can be found in the HQ of Beirut Port Authority.This last painting was initially exhibited in the Kantari quarter of Ras Beirut, at the museum previously known as the palace of Henry Pharaon, a great sponsor and collector of art works. Later, he offered the painting to the company of Beirut Port when he was its CEO. 3- The sixth painting (unsigned) is a remarkable view of the seafront in Ras Beirut. It is 200 x 70 cm and drawn with impressive details. Mr. Michel Fani in his “Dictionary of Painting in Lebanon” (p. 359 – 360), confirmed the authenticity of this work and that it was painted by Serbai himself and it was exhibited for a century at the “Grand Hôtel d’Orient,” which became in 1920 the famous “Bassoul” hotel. The painting is now part of a private collection. All six paintings are still in a good condition since most of them were restored by Mr. Faddoul Khallouf, a conservator-restorer of French National Museums and Sursock Museum in Lebanon. We ask the Ministry of Culture to speed up the creation of a permanent national museum for fine arts to delight the public with our priceless treasures of the national artistic heritage. ED: We hope that anyone in possession of a painting, document or any piece of information about Ibrahim Serbaï or any of the “Marine School” painters, would contact us and consider this website a first step to document these great artists of the 19th and early 20th century. NB: For more detailed information and to view some paintings of all the artists mentioned above, it is strongly advised to refer to the “Dictionnaire de la Peinture Libanaise ” by Mr. Michel Fani – “Michel de Maule” editions – since it offers a precise professional outlook on our great artists. 2-“Dictionnary of the Lebanese painting” by Michel Fani – “Michel De Maule editions”. (Dictionnaire de la Peinture Libanaise). 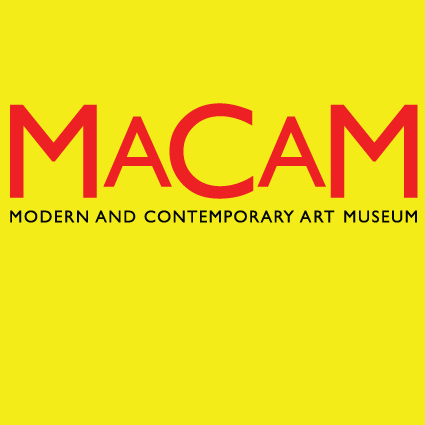 4-“Contemporary Art in Lebanon” by Edouard Lahoud – Dar Al Mashrek. (L’Art Contemporain Au Liban). 10, 2009. (L’Epave du Victoria au large de Tripoli, un trésor sous-marin et une vedette médiatique). Liban -from November 3 till November 10, 2007. ( Le grand méconnu : Ibrahim Serbai,peintre libanais du XlX ème siècle). 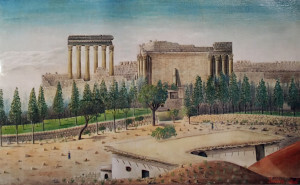 9-“Baalbeck Cradle of the Gods” by Michel Hariz. (Baalbeck- Berceau des Dieux).